We often think we have a fair amount of ability in reading people until the moment when weâ€™re proven wrong. Chances are that youâ€™ve heard the phrase, â€˜I read you like a bookâ€™ which indicates that somebody has understood anotherâ€™s thought processes to the point that theyâ€™re able to predict what that person might do next. Known as social intelligence, we like to kid ourselves that we are reading people when, in effect, we are mostly just guessing. In fact, for most people, â€˜reading peopleâ€™ is really just thinly disguised empathy where they are projecting their own feelings and thoughts onto the situation and reading it accordingly. Without the superpowers of a mind-reader, many of us suffer the consequences of ineffectual people reading throughout our lives. 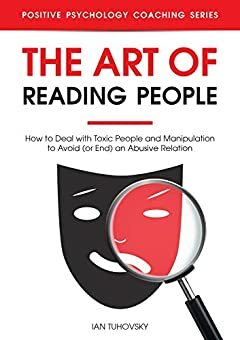 In his new book Ian Tuhovsky explores the art of reading people and, through a number of exercises and tutorial content, shows the reader how to more effectively identify and interpret the behavior of others in order to more fully understand their motivations and intentions. A must-read for those who constantly find themselves being let down or manipulated by others.